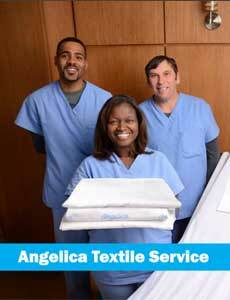 Angelica Textiles is the nation’s largest healthcare linen provider. It provides textile rental and linen management products and services to hospitals, integrated delivery networks (IDNs), clinics, outpatient facilities, and long-term care centers. Based in Alpharetta, Georgia, this subsidiary of the Angelica Corporation has an old and storied history that dates back to the late 19th century. It is said that the first Angelica uniform was tailored by the wife of Cherubino Angelica, a railroad chef in St. Louis, Missouri. Mrs. Angelica’s distinctive chef’s uniform set the standard for style and functionality and became the customary design for many years. In 1890, Angelica created the famous Harvey Girls uniforms. The Harvey Girls were fashionably-dressed waitresses in the Fred Harvey chain of restaurants, located in train stations across America. Alfred Levy bought the company and its six sewing machines in 1903, for $2,500, changed its name to the Angelica Jacket Company, and sold more aprons. In 1920, the company introduced the first commercially launderable, permanent-press fabrics. In 1941, it designed military uniforms for the war effort. By mid-century, Angelica Jacket Company had become the Angelica Uniform Company, having recognized the growing apparel needs of the service industry employers across the country. By 1958, Angelica, now a publicly-traded company, was regarded as the largest manufacturer of men’s and women’s washable service apparel for hospitals, restaurants, and hotels. After acquiring a retail uniform business in the late 1960s, another name change occurred – it was now the Angelica Corporation. More corporate expansion followed, including major laundry acquisitions, all of which further consolidated Angelica’s dominant position in the textile rental services. 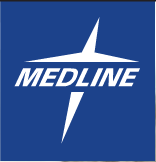 However, in 2002, the company sold its manufacturing and retail divisions in order to better focus on serving the healthcare industry. It upgraded its product portfolio and developed new designs for things such as surgical scrubs, patient gowns, privacy curtains, and pillowcases. 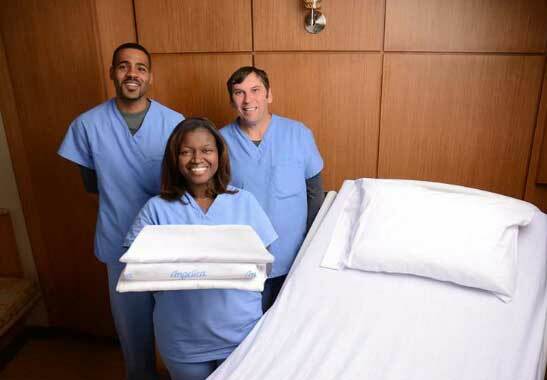 Today, Angelica Textiles offers the following products to its 800 client hospitals and 3,000 outpatient facilities, which together, house 160,000 healthcare beds across the country: sheets and pillowcases, blankets, privacy curtains, surgical scrubs, lab coats, bed pads and under pads, floor mats, gowns and robes, soiled linen bags, towels and washcloths, dust control and cleaning systems, and patient repositioners. Angelica’s disinfecting laundering process, called AngelClean, is the cleanest non-sterilized linen wash process in the industry – 100,000 times cleaner than the current industry standard. Angelica has a strict laundering system that is automated to ensure that established parameters for formulas, temperature, and time settings are followed, and that textiles can be easily tested during the process. Moreover, the company has set procedures for picking up, transferring, sorting, washing, drying, pressing, packing, and delivering laundry to help prevent the spread of infectious diseases and pathogens harbored in soiled linen. Angelica also provides customer-centric services to its healthcare clients. Its Linen Distribution Program improves order accuracy, completeness, and timeliness of delivery; its Exchange Cart Program simplifies the distribution process in high consumption areas; its AngelGuard Program helps protect patients and staff from the risk of infection; and its innovative Linen Management Program, called AngelTrak, which involves state-of-the-art radio frequency identification (RFID) technology, allows its customers to better manage their linen programs and reduce costs. With AngelTrak, every barcode/RFID Chip identifies a specific item from a facility that can be tracked from the facility to the laundry and back. Angelica also believes that responsible environmental management is important to its growth and long- term success. As part of its “Improving the Fabric of Healthcare” vision, the company has invested in practices and technologies that enable it to reduce its carbon footprint. Its wash chemicals are phosphate, NTA (Nitrilotriacetic acid), and NPE (Nonylphenol Ethoxylate)- free; it encourages the use of reusable and recyclable products, such as plastics, oils, and solvents; it has reduced water waste and usage; it has reduced natural gas usage by optimizing its wash sequencing and temperature without impacting textile cleanliness; and it has reduced its truck fleet and invested in hybrid delivery vehicles. 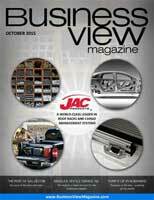 The company helps its customers reduce their carbon footprints by offering paperless invoicing and electronic ordering. Angelica Textiles continues to revolutionize the industry through innovation and technology. All of its facilities are HLAC-accredited laundries. HLAC Certification requires strict adherence to high standards established in the ANSI/AAMI ST65:2000 guidance for Processing of Reusable Surgical Textiles for Use in Health Care Facilities, best practices and guidelines as developed by the commercial healthcare laundry industry, and regulations established by the Occupational Safety and Health Administration (OSHA). In addition to its corporate headquarters in Alpharetta, Georgia, Angelica Textiles has 30 Service Centers in the following states: Rhode Island, South Carolina, Tennessee, Texas, Oklahoma, Ohio, New York, Nevada, North Carolina, Massachusetts, Illinois, Georgia, Florida, California, and Florida. WHO: Angelica Textile Service, Inc.